Birguia Kieba is a beneficiary of the Samaritan's Purse livestock project in the village of Koira Margou. She is 32 years old and has five children. In this picture, she had just finished feeding the ram that she received from Samaritan's Purse. With this ram, she will be able to fatten it and sell it for a profit. With the money from the sale, she can purchase another ram to continue the cycle, as well as use the profit to purchase food, clothes, school supplies, pay medical fees, etc. Working on this project has brought a lot of change and blessings in my life. I was born and raised in Niamey, the capital and most developed city in Niger. After joining Samaritan’s Purse in 2012, I moved one and a half hours outside of Niamey to the community of Tamou. Tamou is in the countryside, and my home is not too far away from the five villages I interact and work with each day. Adapting to rural life was at first inconvenient, and a number of interesting visitors came into my home to make my acquaintance in the first few months, including a snake that was 6 feet long and a few scorpions! 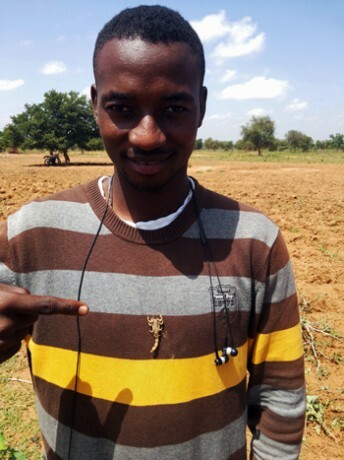 Daouda found a few friends in his move to rural Niger, including this scorpion. But I’ve since learned to really appreciate life in Tamou. There is a great peace from being surrounded by nature, and life is less complex than it was in the city. Little by little, I am learning the language of the Fulani, the people group I work with, and as a result, each day my relationship grows with them more. As a Livestock Supervisor, I’m thankful for being able to work on many varied activities. It allows me to learn different skill sets that can benefit the villagers in many ways. One such activity, for example, is off-season vegetable gardening. We have taken the initiative to teach the women how to properly build a functioning community garden that produces year-round. The women grow a variety of nourishing crops such as okra, millet, sorghum, rice, tomatoes, and cowpeas that provide their families with nutritious food. But even more, they’ve learned the importance of sharing. We teach through community projects that it’s better to share and give to your neighbor rather than to only provide for yourself and for your family. 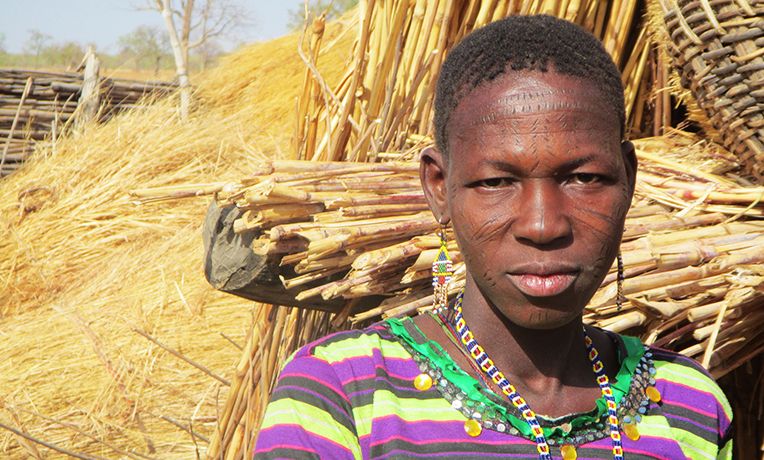 The Fulani people are traditionally independent, even in village life. They have a tendency to keep only to themselves and help only their direct family members. By practicing this Christian principle of sharing, we witness to them. “But do not forget to do good and to share, for with such sacrifices God is well pleased” (Hebrews 13:16, NKJV). Another activity that has worked well is animal distributions. Again, this activity invests in the lives of the women of the villages. We have found that women, more than men, will give back to their families before taking for themselves. 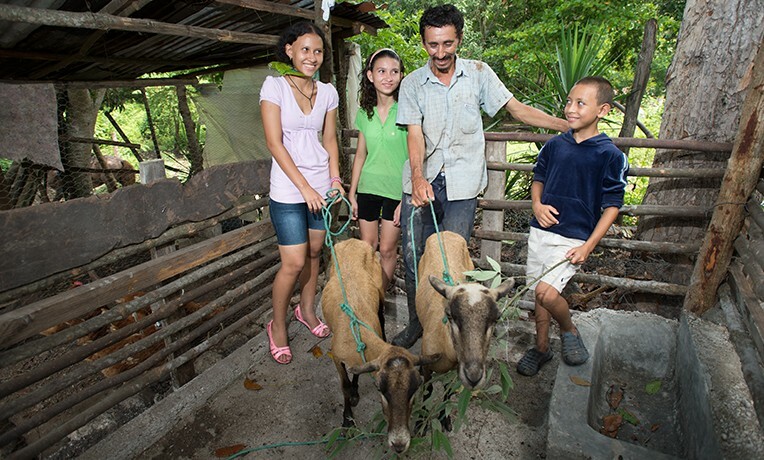 The goal is to provide women with an economic opportunity by giving them livestock. 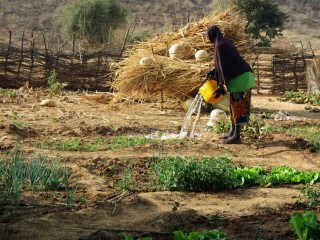 The beneficiary learned how to grow crops in the off-season to increase their food supplies. For example, we give one woman three hens. She takes care of them until she receives 15 eggs from each, and then she passes the hens on to her neighbor. Her neighbor does the same: receives her 45 eggs and then passes the hens on to another motivated woman in the village. Each woman then decides how to use her eggs to better provide for her family and household. We do this same distribution principle with cows, sheep, and goats too. As well, the women all work together on this project even though it’s household specific. Samaritan’s Purse first invests in one group of 20 women per village who model this distribution and animal exchange to other women. Of those 20, several are selected to become leaders who form a small committee in each village. The committee includes a president, vice president, and secretary, and they unite with other committees from neighboring villages to create projects that will benefit all. For example, they set up a community market where they buy and sell goods on a certain day. Women in these examples are the ones bringing stability and good health to their communities. The livestock project beneficiaries are thankful to Daouda for giving them tools and tips for raising their animals. As I write, the Niger livestock project has more than 100 women beneficiaries in Tamou alone. And for that, they return a smile and are thankful.